Southern California Gas Co. is facing problems getting enough natural gas into the L.A. region. Those problems are increasing the risk of power outages this summer. Some of the issues have to do with the pipelines that bring gas in from out-of-state. Another problem is storage. Specifically, the scarcity of storage. Since the Aliso Canyon gas leak of 2015 — the largest-ever uncontrolled release of natural gas in U.S. history — SoCal Gas has had limits on how much it could store underground at a depleted oil field near Porter Ranch. Those problems won't interfere with power production on a typical summer day, but during a heat wave, with air conditioners running all night, power plants could run short. So far, the disaster has cost SoCal Gas $1 billion, and that's before any of the more than 400 lawsuits involving some 48,000 plaintiffs have gone to court. A group of 29 firefighters and some of their spouses sued Southern California Gas Company on Oct. 15 over health problems they say they sustained from exposure to gas well blowout. The complaint said SoCal Gas knowingly exposed them to benzene and other chemicals contained in natural gas, but did not warn them of potential health consequences. The plaintiffs said they were suffering from headaches, dizziness, skin rashes and even cancer. During the leak's active stage, the firefighters were a consistent presence near the ruptured well during attempts to plug it. They drove around and responded to medical incidents and other emergencies in the Porter Ranch neighborhoods. And they slept at two fire stations within the gas-affected area. When the firefighters asked SoCal Gas to install air purifiers at their fire stations, Los Angeles County Health Department officials, observed by representatives from SoCal Gas, explained that there was no need for air purifiers because natural gas was supposedly not toxic. The company had been installing air purifiers in other Porter Ranch homes. WAIT. GO BACK. THIS HAS COST $1 BILLION? Yep. It took SoCal Gas months to seal over the leak and during that time they relocated about 8,000 families. Hotel and home-cleaning costs paid by the company make up a little over half the $1 billion spent so far by the company to deal with the disaster. Legal bills are expected to keep driving that cost up. In just the first six months of this year, SoCal Gas spent about $22 million dollars on litigation. Company officials say insurance will cover most of its billion-dollar disaster. But every quarterly report puts the company closer to its $1.4 billion insurance policy limit. Who picks up the tab after that is not yet clear. OK. Let's look at the current issues, the usage, and what's being done to reduce the risk of outages. FIRST: WHAT WAS IN THAT LEAK? Porter Ranch residents who live near the Aliso Canyon gas storage field have long wanted to know what chemicals they ingested living next door to that long-lasting leak. A deposition made public this week provides residents with new information about the level of cancer-causing benzene emitted from the ruptured gas well. Keep in mind, that leak went on for four months. The documents came out as part of a massive, 48,000-plaintiff litigation against SoCal Gas. In public statements, SoCal Gas had said only "trace levels" of benzene came from the gas field during the blowout. However, it was unclear to neighbors what that meant. In a deposition taken by plaintiff's attorneys, a SoCal Gas engineer said that level was 1 to 9 parts per million. Why does that matter? Well, the state's threshold for exposure to benzene is far smaller, just one part per billion. Thousands of residents have reported being sickened by the gas that released during the blowout. They reported symptoms like headaches, nose bleeds, rashes and more serious ailments. So evidence of higher levels of benzene validate their suspicions that more than just methane was emerging from the SoCal Gas well. "They have to get up there and they have to tell the truth," said Andrew Krowne, one of the plaintiffs suing the utility. He said he welcomes the new information and the way attorneys are pressing SoCal Gas employees for details. "The truth is, this is some nasty stuff and everybody was exposed to it," Krowne said. So what does SoCal Gas say about the revelation? Company spokeswoman Christine Detz says benzene gets diluted when the gas is released into the air. So she says it is inaccurate to portray the levels as excessive or harmful. Ok, that's the latest. Let's look at the impact that leak has had on wider gas supplies. 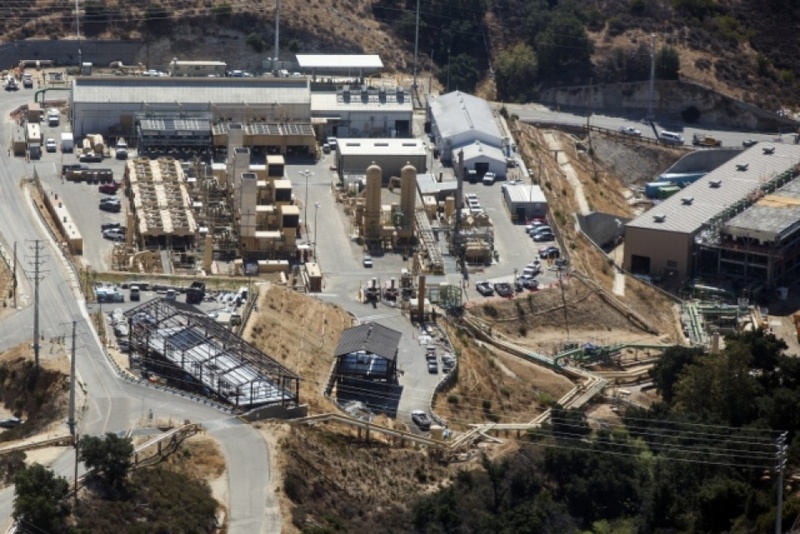 17 electrical power generators in the Los Angeles Basin are facing a constricted supply of gas coming from out-of-state. Several SoCal Gas pipelines located north and east of the L.A. Basin are damaged and out of service. 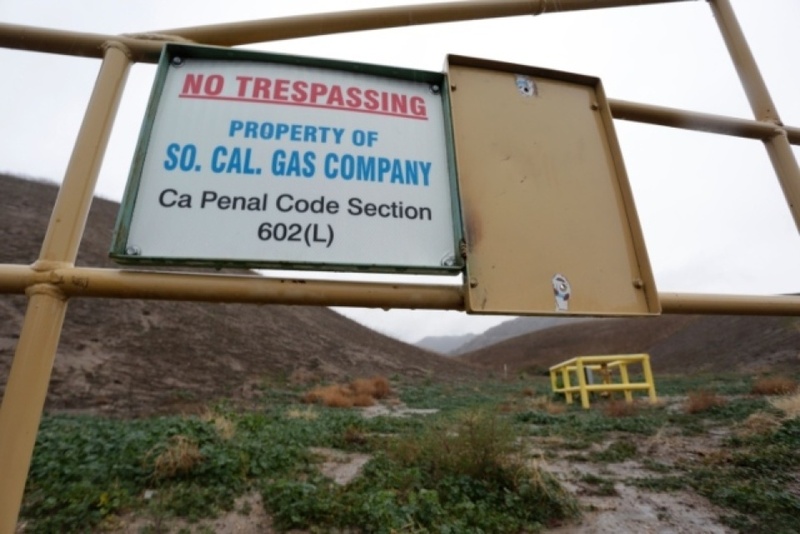 The main place that SoCal Gas stores its supply — the Aliso Canyon Natural Gas Storage Facility in the Santa Susana foothills north of Porter Ranch — is in limited operation following the disastrous 2015 gas leak and subsequent overhaul of its wells. It's summer, when gas usage across L.A. tends to be low. But utilities that burn gas to produce electricity are still warning us to conserve power. That's because even though households tend to use less gas during summer, they use more electricity for air conditioning. When it's hot, electric power generators that burn natural gas use more to meet the demand of all those air conditioners staying on day and night. The daily gas supply being piped into the L.A. Basin this summer will be only about 2.7 to 3.3 billion cubic feet (depending on which pipelines remain out of service). The region's daily maximum gas demand during a hot spell is about 3.5 billion cubic feet. Yes. And a shortfall is possible if gas is not available in storage to make up the gap. During such times, state law allows SoCal Gas to shut off or reduce supplies to big power plants and other large gas customers. That would increase the chance of a power outage. OK, SO WHAT ARE WE DOING ABOUT IT? An immediate tactic that experts say could reduce the chance of a shortage is to increase the volume of gas stored underground at the Aliso Canyon Gas Storage Facility near Porter Ranch. And that's what the Energy Division of the California Public Utilities Commission recommended on Monday. The recommendation calls for giving SoCal Gas permission to store to 34 billion cubic feet at the Aliso Canyon facility. That's an increase from the current 26.4 billion cubic feet. HOW DOES THAT HELP REDUCE THE CHANCE OF SHORTAGES? The idea is to have enough gas stored underground to meet the region's peak gas demand on a streak of days that have extreme heat this summer without having to shut down gas-fired power plants. The situation could be worse during a cold streak this winter, when a gas shortage could mean homes and businesses are without enough for heat and cooking. More on that in a minute. 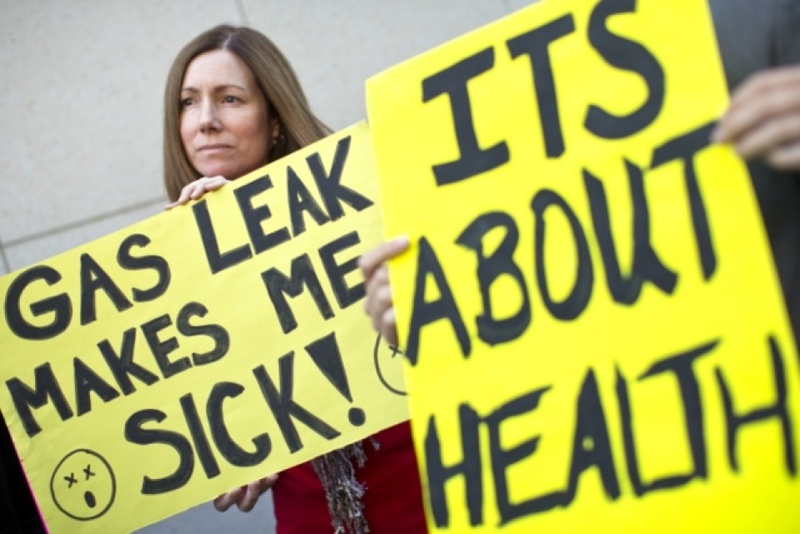 It's controversial because Aliso Canyon is where a gas well ruptured in late 2015, causing the nation's largest-ever uncontrolled release of natural gas. About 8,000 Porter Ranch households were evacuated outside the area while the leak was active. Some residents attribute ongoing illnesses to the incident. SoCal Gas has been pushing to increase the amount of gas it can store ever since it re-opened the gas field for operations in July 2017. At that time, the California agency that regulates gas wells — the Division of Oil, Gas and Geothermal Resources (aka DOGGR) — said the gas field had been overhauled and could safely hold up to 68.6 billion cubic feet. But they were overruled by the CPUC, which regulates investor owned utilities. CPUC has held the field to 26.4 billion cubic feet while a study of the root cause of the gas well rupture is being done, and while another broader inquiry requested by the Legislature looks at whether gas storage operations at Aliso Canyon should be minimized or ended. HAVEN'T WE BEEN DOING A LOT TO CONSERVE GAS SINCE THAT DISASTER? Big gas users, including the 17 gas-fired power plants serving the L.A. Basin have had to be far more careful to use only what they order in advance. Power utilities have pushed more conservation messages to their customers. The L.A. Department of Water and Power committed to buying more of its power outside the region during times when the local gas supply might be stressed. Other power utilities are also importing electricity. That costs more, and those costs may be passed along to customers, said attorney Norman Pedersen, who represents an industry group comprised of local power producers. Also, big utilities are doing more to increase the amount of power they can store. The California Public Utilities Commission ordered them to accelerate their research and acquisition of energy storage, for example, using huge batteries. There's also been a recommendation from a joint panel of state energy experts — including the California Energy Commission, California Independent System Operator and CPUC — that SoCal Gas consider importing liquefied natural gas from Mexico into the L.A. region. SO THAT TAKES CARE OF SUMMER. WHAT ABOUT WINTER? Early summer is prime time for SoCal Gas to refill its storage fields, including the big one at Aliso Canyon, because gas costs less. If the pipeline system is constricted due to outages, more is needed to fill daily needs and less remains to be put into storage. The Energy Division staff of the CPUC forecasts that the amount of gas that can be put into storage under the current limits would not be sufficient to meet the highest demand that is likely to come in an average winter, and "it would be woefully inadequate for a cold winter." The coldest days between November and March bring the highest demand for gas. Those cold days could require as much as 4.9 billion cubic feet of gas, which would leave the system short by up to 1.5 billion cubic feet. That extreme scenario assumes SoCal Gas would deliver what's in its pipeline and three smaller gas fields, but not withdrawing from Aliso Canyon. Similar warnings came in advance of the 2017-18 winter, but it turned out to be exceptionally warm, so very little gas was withdrawn from the Aliso storage field until a cold snap that came in February. During that period, though, gas supplies were scarce enough that it required power utilities to reduce what they used between Feb. 20 and. March 6. Oct. 16, 6:30 p.m.: This article was updated with information about the firefighters suing. August 7, 3:15 p.m.: This article updated with information about the cost of the disaster reaching $1 billion. July 12, 5:15 p.m.: This article was updated with information about levels of benzene in the gas leak. This article was originally published on June 20.